Everyone seems to be talking about a guy getting a QR code tattoo, from Paris based artist K.A.R.L., that scans to reveal an animated version of said tattoo. It's a video created for Scotch whiskey producer Ballantine's' 'Leave an impression' campaign, designed to coherce a younger market to drink their product. All well and good ,except for one small fact - it's not a QR code! 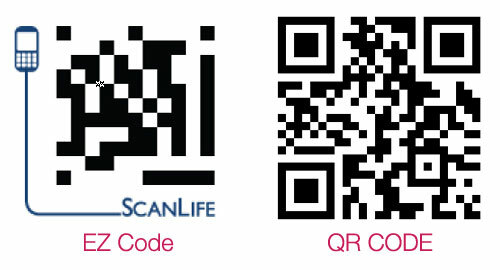 The tattoo is of an EZ Code, a proprietary 2D code format from Scan Life and is not a QR code at all. We were amazed to see the number of people retweeting and blogging about the story, with not one single person picking up on this salient fact. What gives? Nobody thought to scan it? Nobody recognised the different pattern style? !